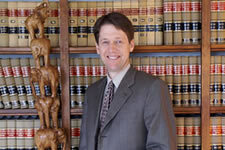 Scot graduated from Villanova University School of Law in 1986. He is married to a professor at LaSalle University. Both he and his wife played tennis on their college teams and continue to this day to enjoy the game. They have added golf to their athletic activities. They enjoy living near a small town center where the neighbors know each other and thoroughly enjoy Philadelphia and its surrounding suburbs. Villanova University School of Law, Villanova, Pennsylvania, 1986 J.D.